This day in history, the Knoxville Civic Auditorium and Coliseum marks 55 years of hockey. On Oct. 19, 1961, the Knoxville Knights took on the Charlotte Checkers in the season opener and went on to a 3-2 victory. 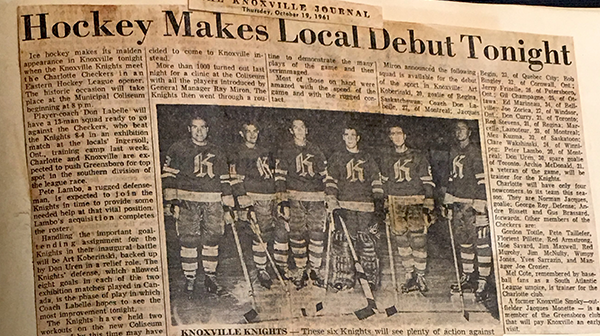 The Knoxville Knights played in the Eastern Hockey League from 1961 to 1968. They were followed up the Knoxville Cherokees from 1988 to 1997, and the Knoxville Speed of the United Hockey League from 1999 to 2002. 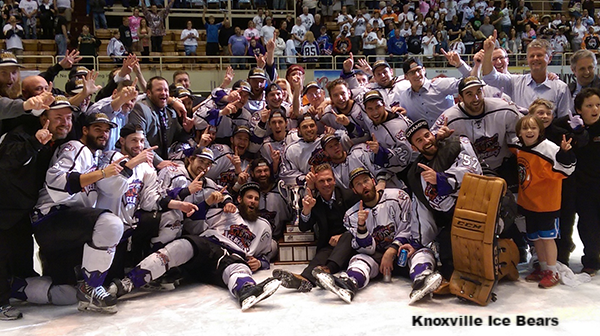 The Knoxville Ice Bears have called the Coliseum their home since 2002 and were the Southern Professional Hockey League President’s Cup champions in 2014-15. We are proud to host this team and welcome thousands of hockey fans to our coliseum each year. The team begins the regular season this Saturday, Oct. 22, with a matchup against the Roanoke Rail Yard Dawgs. Purchase tickets here.